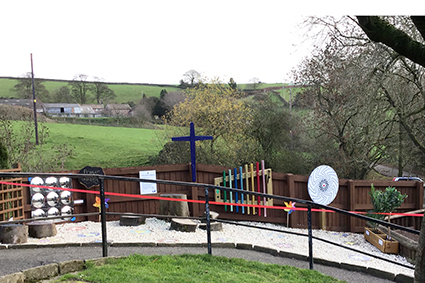 The Archdeacon of Macclesfield opened a brand new prayer garden at Wincle Church of England Primary School on Monday. 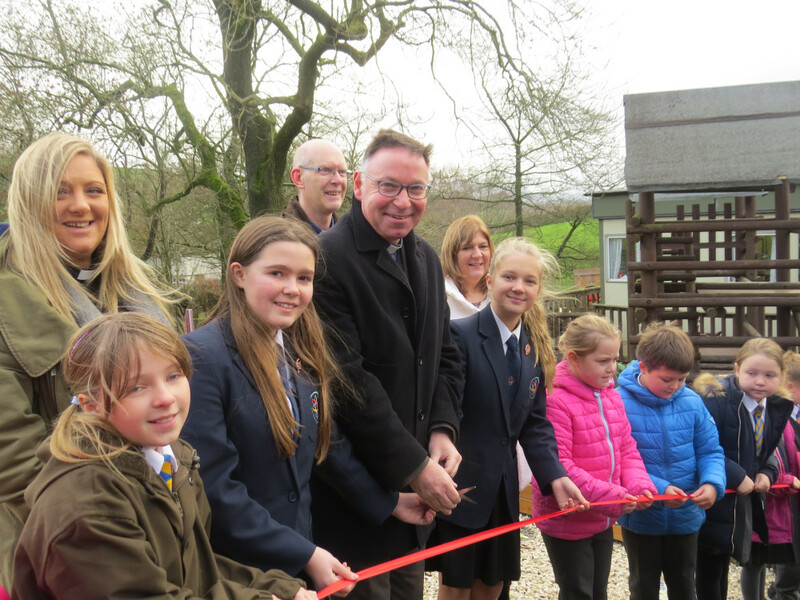 Archdeacon Ian Bishop had been invited along to open the garden by the Headteacher Mrs Smith. Children and staff gathered outside for a short service and blessing before the Archdeacon cut the ribbon to officially open the garden. The garden offers children a space to think, reflect and pray. Chalkboards allow children to write short prayers and the Lord’s Prayer is mounted on the fence for children to see and read. There are Bible Beds holding plants mentioned in the Bible and space is available for the pupils to find more.